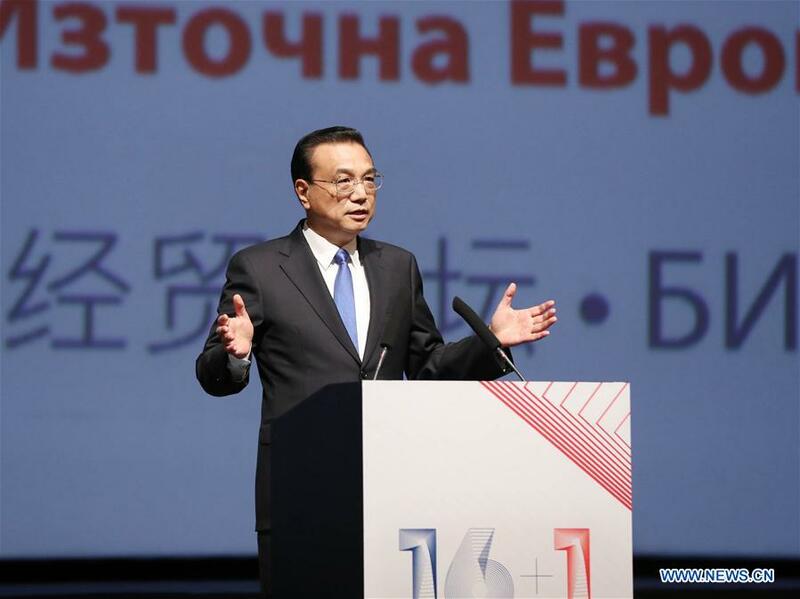 Chinese Premier Li Keqiang visited Europe on July 5-11, where he attended the 7th leaders’ meeting of China and the Central and Eastern European countries (CEEC), in Sofia. It has been six years since the China-CEEC “16+1 cooperation” mechanism was established and it has now entered a stage of further deepening. The 16 countries in Central and Eastern Europe (CEE) are included into the framework of the Belt and Road Initiative in 2017, making it the only region along the “Belt and Road” to have been fully included into the initiative. On November of the same year, a joint document – Budapest Guidelines for Cooperation between China and Central and Eastern European Countries – was released, in the hope that the “16+1” cooperation mechanism can boost the complementarity between the Belt and Road Initiative and major EU initiatives (the Investment Plan for Europe, among others) and individual development strategies of countries involved. The “16+1” mechanism has become a successful and innovative inspiration for other cooperation mechanisms along the Belt and Road Initiative. The Medium-Term Agenda for Cooperation Between China and Central and Eastern European Countries has been adopted under the “16+1” cooperation mechanism. As such, more than 20 institutionalized exchange platforms have been set up, covering fields such as trade and economy, investment, tourism, local cooperation, transportation, logistic, technical cooperation, think tank and public health. This coordinating mechanism/platform brings innovation to political communication. Enabling every CEE country to shoulder certain responsibilities and play a special role in the cooperation will be beneficial for stimulating their enthusiasm for “16+1” cooperation and promoting the construction of the Belt and Road. Out of 16 CEE countries, 11 are members of the European Union (EU) as well. They generally hold positive and supportive attitude towards China’s Belt and Road Initiative and have all signed MOUs with China to strengthen cooperation in this area. The layout of European maritime and inland silk roads has been basically accomplished under the framework of “16+1” cooperation. Major projects including the Hungary-Serbia Railway, the China-Europe land-sea express line and cooperation initiatives involving ports on the Adriatic, Baltic and Black seas are in the plans too. The geographic location of CEE is especially significant. The interconnected highways, railways, channels and rivers in the CEE link China and Asia with other parts of the European continent. Projects including the E763 highway in Serbia, the Macedonia highway, the Montenegro South-North highway and power transmission and transformation in Poland are steadily progressing. In December 2014, China, Hungary and Serbia signed a joint MOU on the Hungary-Serbia Railway project. In November 2017, the ground breaking ceremony of Belgrade-Stara Pazova section in Serbia was held. The whole project is expected to drive the construction of China-CEEC land-sea express line. Over 7600 China-Europe Railway Express trains have travelled across CEEC, illustrating the region’s pivotal and growing role as a linking bridge between the Asian and European continents. Moreover, China has now opened direct flights to Poland, Czech Republic, Hungary and Serbia. 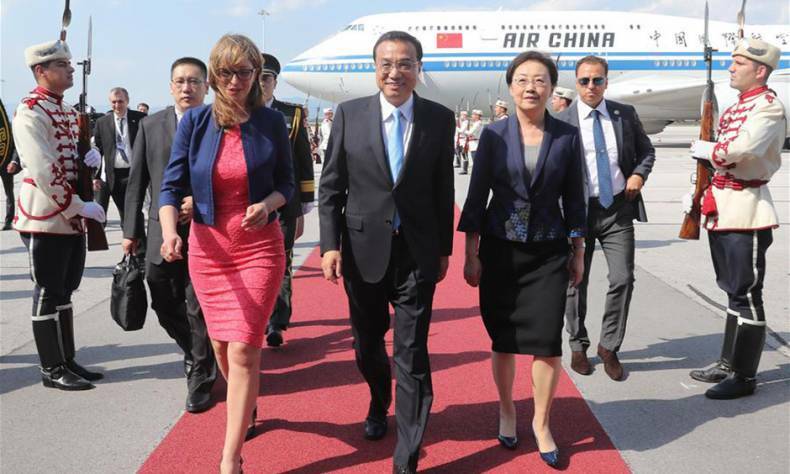 Δ Chinese Premier Li Keqiang attends the seventh leaders’ meeting of China and the Central and Eastern European Countries (CEEC) in Sofia, Bulgaria, July 7, 2018. Under the framework of the Belt and Road Initiative, the trade cooperation between China and CEEC has seen a steady growth, among which investment cooperation has increased by leaps and bounds. Since the mechanism was established in 2012, the total value of import and export between China and CEEC grew to $58.7bn in 2016, 9.5% up over 2015, accounting for 10.2% of total China-European trade. In addition, a great amount of Chinese investments is flowing into CEEC. According to incomplete statistics, investments of Chinese companies in CEEC have exceeded $8bn in 2016, and correspondingly, investments of CEEC in China have exceeded $1.2bn, mostly in machine manufacturing, auto parts manufacturing, chemical engineering, financial and environmental protection. The China International Import Expo to be held this November plans to open up a dedicated section for CEEC goods as part of its central platform for goods (categorized by country). CEEC are the first group of countries who have carried out people-to-people exchanges with China after the PRC was founded. CEEC and China have long had the tradition of sending exchange students to each other and opening up Chinese learning classes. Nowadays, China has to promote cultural exchanges and improve the soft environment of China to CEEC investments, if it wants to deepen its relations with CEEC. Under the guidance of “people-to-people connectivity” and “a community with a shared future” promoted by the Belt and Road Initiative, we can enhance the communication and exchanges of culture, tourism, youth and education between China and CEEC, and effectively enrich the forms of China-CEEC people-to-people diplomacy by applying targeted measures such as setting up special scholarships for Belt and Road Initiative. The establishment of tourism-promoting mechanisms and simplified visa clearance procedures also boosted personnel exchange between to the two partners. The China National Tourism Administration Office in Budapest was set up in March 2013, which marked China’s first overseas tourism office in CEE. As of 2017, the number of Chinese outbound tourists to CEE had increased 229% compared with 2015. The Belt and Road Association set up by Bulgaria in 2017, which is dedicated to promoting the Belt and Road Initiative in Bulgaria, is the first organization in Europe that aims to achieve such objective. Its members are mainly outstanding representatives of Bulgaria business, political and cultural circles. Bulgaria, which assumes the rotating presidency of China-CEEC “16+1 Cooperation” Summit this year, has taken a proactive role in promoting the meeting. This is also a sign that of the further deepening and progressing cooperative partnership between China and CEEC. According to the definition of “16+1” cooperation framework provided by Chinese Foreign Ministry in 2012, CEEC include four countries of Visegrád Group (Poland, Hungary, Czech Republic, Slovakia), countries of Southeastern Europe (Romania, Bulgaria, Slovenia, Croatia, Serbia, Macedonia, Bosnia and Herzegovina, Montenegro, Albania) and the Baltic States (Estonia, Latvia and Lithuania).